I never really cared much about my hair until I cut it off. In middle school, I’d throw a few braids or pig tails in and call it a day. When I started high school, I cut bangs. Until my senior year of high school, that was as drastic as I’d gotten with hair changes. Senior year, I decided to cut it off. I went full Victoria Beckham. And then I never wanted to cut my hair again. But this isn’t a story about my hair history. This is a review of FAST Shampoo & Conditioner. After cutting my hair, I became obsessed with growing my hair long. To this day, I haven’t gotten more than a trim since the big chop. I got a little more adventurous – I dyed it a few times – but never a big cut. I’m all about long, strong, healthy hair. 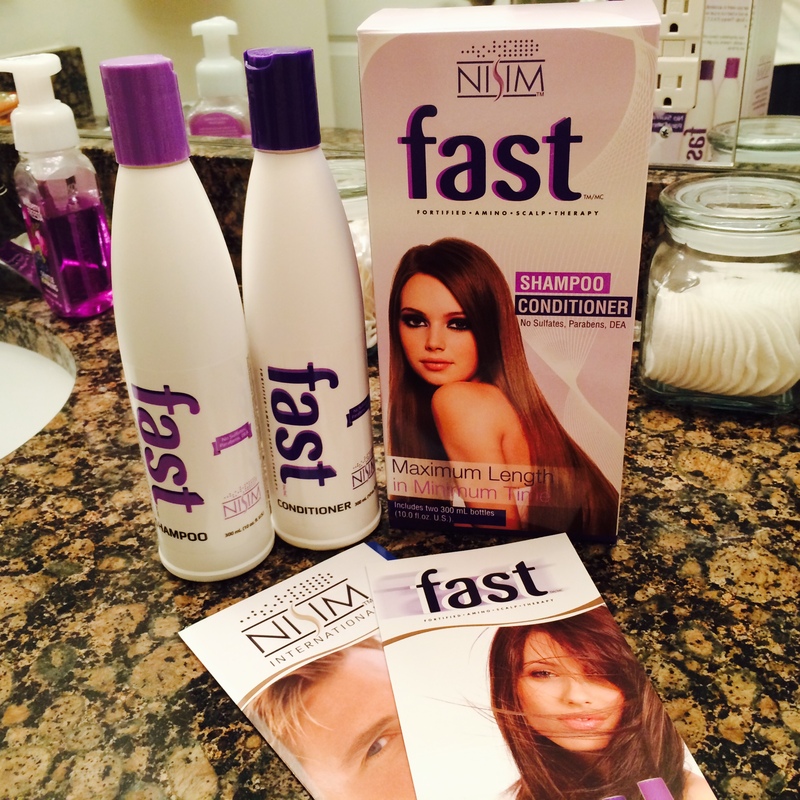 That’s where FAST Shampoo & Conditioner, which claims to grow hair longer up to twice as fast as normal, comes in. I came across a tweet one day from FAST Shampoo calling on beauty bloggers to try their product. Of course I’ll try your product, I’ll try (almost) any beauty product. So I tweeted back. @fastshampoo any chance you offer samples for #bbloggers to review? Long story short, they sent me products in exchange for a review! So what did I think? Well, there’s no miracle product that will make your hair grow immediately. I just started using the product, so I’m not expecting immediate growth here. I’ll definitely continue to use the products and follow up with a review on how well it works. What I can review at this point is my first impression! The shampoo actually smells almost like men’s shampoo, in a good way. I love the scent. It’s not super fruity or sugary the way some other beauty products can be. The shampoo lathers really well, despite being sulfate-free. I was surprised at how smooth my hair felt after using the shampoo/conditioner combo. I wasn’t expecting it to feel so nice, but FAST claims to work by feeding the hair with essential nutrients, amino acids and proteins – it’s all about making the hair healthier. I’m really excited to see the results of using these products! Stay tuned! Have you tried anything to help your hair grow faster?